We will be closed tomorrow for a film shoot and will reopen on Tuesday at 10:30 am. See you soon! The holidays are right around the corner and Rizzoli Bookstore is pleased to present our selection of holiday gift books. From art to interiors, fashion to cooking, Rizzoli Bookstore has a large selection of titles sure to please anyone on your holiday shopping list. You can browse a selection of titles in our 2016 Holiday Catalog here or search all our books in the categories at left. Stooges fans were enthralled Friday night to witness rocker Iggy Pop in conversation with author Jeff Gold to celebrate the release of Total Chaos: The Story of Iggy And The Stooges. This is the first book telling Iggy Pop's story of The Stooges from his own words. Grammy winning editor and avid music historian Jeff Gold spent two days at the rock legend's home sharing pictures and memorabilia from his collection. Olympia Le-Tan with her sister Cleo at the launch of The Story of O.L.T.! Book lovers and fashionistas were delighted to unite on Tuesday night in our salon! Fashion handbag designer Olympia Le-Tan signed copies (and clutches) in celebration of her new book The Story of O.L.T. from Rizzoli New York. We were delighted to collaborate with Club Monaco to stage a pop up kiosk for their fashion show in Grand Central Station. Here's to a great Fashion Week! The Intersections series is produced by the Flatiron/23rd Street Partnership, a business improvement district (BID); this edition focuses on Flatiron-centric books and is created in collaboration with Rizzoli Bookstore. Janette Sadik-Khan is one of the world’s foremost authorities on transportation and urban transformation. She served as New York City’s transportation commissioner from 2007 to 2013 under Mayor Michael Bloomberg, overseeing historic changes to the city’s streets—closing Broadway to cars in Times Square, building nearly 400 miles of bike lanes and creating more than 60 plazas citywide. A founding principal with Bloomberg Associates, she works with mayors around the world to reimagine and redesign their cities. She chairs the National Association of Transportation Officials, implementing new, people-focused street design standards, which have been adopted in 40 cities across the continent. She lives in New York City. In Streetfight: Handbook for an Urban Revolution, which she wrote with Seth Solomonow, she demonstrates how to rewrite the underlying “source code” of a street, with pointers on how to add protected bike paths, improve crosswalk space, and provide visual cues to reduce speeding. Streetfight pulls back the curtain on the battles Sadik-Khan won to make her approach work. 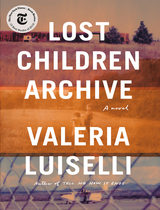 To learn more about the book, click here. "Intersections is a BID series focused on information, ideas, and our community. 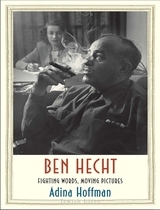 The series is produced by the Flatiron/23rd Street Partnership; this edition focuses on Flatiron-centric books and is being presented in collaboration with Rizzoli Bookstore." Click here for more details. "The new location still boasts their motto “Welcome to the most beautiful bookstore in New York City” and visitors say it lives up to the hype," writes Gothamist. Read all about it here. The New York Times coined the name "NoMad" in 1999 to refer to the area North of Madison (Square), but we simply call this distinct Manhattan district "home." And one of the things we love most about our neighbors is how well fed they keep us. Here's a roundup of some our favorite cookbooks that will let you sample the cuisine of our favorite NYC neighborhood without ever leaving your kitchen. Chef Daniel Humm and his business partner Will Guidara are the proprietors of two of New York's most beloved and pioneering restaurants: Eleven Madison Park and The NoMad. Their team is known not only for its perfectly executed, innovative cooking, but also for creating extraordinary, genre-defying dining experiences. "The NoMad Cookbook"translates the unparalleled and often surprising food and drink of the restaurant into book form. Eating a hot buttered lobster roll is like taking a mini-vacation: it conjures the scent of salt in the air and the crash of waves on the rocks—the essence of a day at the beach in Maine. Now, with Real Maine Food you can re-create this humble delicacy as well as more than 100 other Maine dishes at home. The authors take a ride on a nineteenth-century schooner, build a beach clambake, and judge a pie-eating contest at a state fair—all in search of the best recipes from accomplished small-town home cooks as well as renowned restaurants and food artisans. 100 Cambodian- and Southeast Asian-inspired recipes from New York's favorite sandwich shop In a city with so many great sandwich joints, Num Pang Sandwich Shop is a standout, receiving high praise from numerous sources including Bon Appetit and Zagat. Num Pang sandwiches are similar to Vietnamese banh mi, but what makes them so special is the inventive fillings, ranging from Glazed Five-Spice Pork Belly to Seared Coconut Tiger Shrimp to Hoisin Meatballs. With touches of graffiti art inspired by the chain s signature urban, hip-hop style, NUM PANG looks just as bold as the mouthwatering recipes taste. 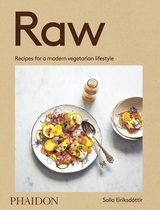 From the chef and restaurant owner of the Breslin in NoMad comes a beautiful, full-color cookbook that offers tantalizing seasonal recipes for a wide variety of vegetables, from summer standbys such as zucchini to earthy novelties like sunchokes. A Girl and Her Greens reflects the lighter side of the renowned chef whose name is nearly synonymous with nose-to-tail eating. Written in her appealing, down-to-earth style, A Girl and Her Greens features beautiful color photography, lively illustrations, and insightful sidebars and tips on her techniques, as well as charming narratives that reveal her sources of inspiration. The secrets to Italian cooking, straight from the source—the wildly popular food emporium that is founded in Italy. "The more you know, the more you will enjoy" is the philosophy behind Eataly, and it is the idea behind this essential compendium of Italian cooking. Here, Eataly’s team of experts, including Mario Batali and Lidia Bastianich, covers everything you need to know about Italian food, starting from the ground up. "May 26, Sting singing 'Englishman in New York' at Rizzoli Bookstore to toast new book, 'Bill Jacklin’s New York.'" Read about it here. "A few blocks away, at Broadway and 26th Street, Rizzoli Bookstore has created a Puryear musées-valise in the window. Amid the various publications on the artist’s work is the 2014 iron sculpture, Shackled, on which Big Bling is modeled and which was seen last year at Matthew Marks Gallery. Behind-the-scenes photographs of Puryear’s studio, along with the template layout for the installation of Big Bling, combine to offer a taste of the process behind this towering colossus." Click here for the full story. 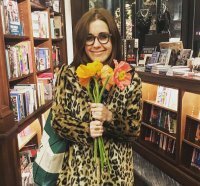 Travel Channel says we're one of the "World's Greatest Bookstores"
"For almost a half century, Rizzoli’s has been considered one of the best independent bookstores in the U.S. It specializes in illustrated books about fashion, photography, interior design, cooking, architecture and other subjects, along with Italian, Spanish, French and English literature. After many years on New York’s 57th Street, the store relocated in 2015 to a new 5,000 square-foot building on Broadway that boasts 18’ ceilings, chandeliers and impressive artwork. Take a master class in floral design, attend a lecture and book signing, or drop in for a cooking demo or book launch party." You can read the whole list here. Rizzoli Bookstore is honored to welcome BIG BLING by Martin Puryear to Madison Square Park with a glimpse into the artist’s construction process. Our window installation reflects the journey of BIG BLING from initial design to final achievement by featuring behind the scenes photographs and materials from the fabricator in Upstate New York. Also on view is an image of the Smithsonian American Art Museum's template for the BIG BLING maquette and the 350lbs iron sculpture SHACKLED (2014), which BIG BLING was modeled after. Rizzoli Bookstore is proud to carry limited edition copies of the artist’s Mathew Marks Gallery monograph and Morgan Library exhibition catalogue to coincide with BIG BLING’s arrival to the NoMad neighborhood. 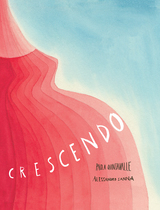 "Robert Mann Gallery and The Monacelli Press will host a one-night exhibition, celebration and book signing for the newly published book Paulette Tavormina: Seizing Beauty at the beautiful new Rizzoli Bookstore on May 11 from 6:00 to 8:00 p.m." Click here for more information. The MET Gala Affair for New Yorkers is something on par with Hollywood's Academy Awards. But aside from the glamour and entertainment aspect of who-wore-what and who-stayed-where, etc. the influence of the MET exhibit extends beyond one glamorously exclusive star-studded evening. The gala is largely responsible for funding the Costume Institute, which provides endless inspiration to aspiring designers and artists, not to mention, entertainment and cultural enlightenment for any human lucky enough to find themselves in the museum. Below are three eclectic books chosen by our own fashion maven bookseller, Kelly Barden, inspired by the upcoming festivities. (Abrams, September 2014) While this is the most obvious title to celebrate this upcoming MET Gala, it will in no way disappoint with its exquisitely curated content. 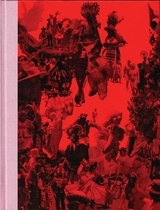 This commemorative collection from Abrams chronicles the last 15 years of MET Gala exhibitions. Replete with full-length photos of past shows including Jacqueline Kennedy's impact on Fashion & Politics, 18th Century Versailles, and 1980's Transatlantic Punk Culture (to name a few), this remarkable title is as expertly curated as the exhibits themselves. Each chapter details the historical relevance behind the exhibitions, and includes an introduction from legendary Vogue Editor-in-Chief, Anna Wintour. 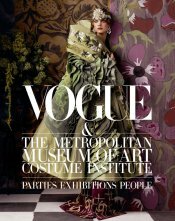 This incredible volume reaffirms the invaluable elements of the Costume Institute while showcasing all of the glamorous attributes that make this NYC's most exclusive event each year. (powerHouse Books, April 2016) This year's MET Gala theme is "Manus x Machina: Fashion in an Age of Technology." 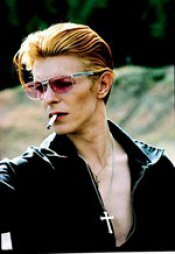 Naturally, David Bowie in his legendary Ziggy Stardust futuristic costumes seem fitting. However, Steve Shapiro's photographs—colorful and visually striking—showcase Bowie's incredible sartorial range outside of his famous musical personas. Shapiro, a long-time friend and photographer of Bowie, reflects on the musician's ever-surprising originality—from painting white diagonal stripes down the front of his costume minutes before a shoot, to drawing continuous Kabbalah circles on the wall while being photographed. This incredible photographic volume is a must-have for Bowie fans as well as fashion-innovators, who will be surprised and delighted by this visionary portrait of a very rare star. (Abrams, May 2014) Art and fashion have always influenced one another, and this inventive title mirroring the works and relationship between two legends who helped define the era of Studio54 is the most alluring example. 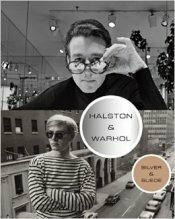 The MET Gala themes often involve topics that work in conversation with one another, and this book, which chronicles Halston and Warhol's parallel rise to fame and acceptance in the art and fashion world provides visible links between the influences that each had on the another. Fashion is the most accessible form of art, and this collection shows the direct link between the two mediums--just as Warhol's prints made their way into Halston's collections, Halston's shoes made their way into Warhol's paintings. Filled with incredible sixties and seventies Warhol prints, Halston clothing, and portraits of the stars, Halston & Warhol is a strikingly vibrant visual conversation of a glamorous, post-sexual revolutionized New York City era. The expertly curated selection at Rizzoli Bookstore has made us a destination for interior designers. In honor of International Contemporary Furniture Fair, May 14-17, 2016 at Javits Center, we're featuring our current favorites that need to be on your radar. Peruse our picks and see for yourself why we're the stylish choice for anyone interested in interiors. Practical or aspirational, we have a unique collection designed with you in mind. Read up on the recently deceased iconic furniture designer Vladimir Kagan, brush up on your modern Cuban design knowledge, or take your Marie Kondoing to the next level. Whatever your poison, Rizzoli Bookstore will help you be the best read person at IFCC. 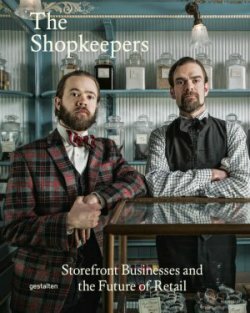 (Gestalten, November 2015) In the age of online shopping, opening a store and becoming a shopkeeper seems like a bold move. Yet from Vienna to Vancouver, storefronts are emerging once again as worthy opponents to commercial corporations. Customers embrace individual businesses that share the distinctive knowledge, personalities, vision, and humor of their owners. 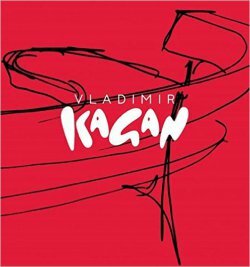 (Pointed Leaf Press, June 2015) Pointed Leaf Press is pleased to announce that we have published an updated edition of The Complete Kagan: Vladimir Kagan, A Lifetime of Avant Garde Design in a larger format with exciting revisions that includes a Foreword by renowned-architect, Zaha Hadid, and Kagan’s impressive new work over the last decade. Since 2004, Kagan’s international reach has grown by leaps and bounds, in showrooms in France and Italy, and with commissions for high-end interiors by some of the world’s leading architects and interior designers. Beginning with his childhood in Germany and his family’s escape from Nazi power, Kagan chronicles his rise to become one of America’s most celebrated designers. Combining sophisticated aesthetic with comfort and modernistic sensibility are the hallmark of his enduring career. "It is the perfect time to celebrate Vladimir Kagan's influential new work. His new custom designs are transformative and the new installations - documented in striking contemporary interiors - will make the book - the only one that documents in detail the designer's amazing career - a must-have for young and seasoned designers alike. It will also offer a sneak peek into Kagan's foray into architecture!" - Suzanne Slesin, Publisher and Editorial Director, Pointed Leaf Press. 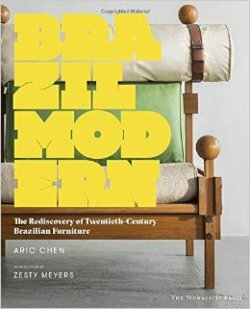 (The Monacelli Press, March 2016) Twentieth-century Brazilian furniture design is perhaps the last great largely unknown tradition of modernism, characterized by rich and sensually textured hardwoods and an ingenuity, grace, and simplicity that exemplify the national character of brasiliadade. With well over 400 historic images and new photography, Brazil Modern: The Rediscovery of Twentieth-Century Brazilian Furniture surveys the history and legacy of this innovative design tradition. 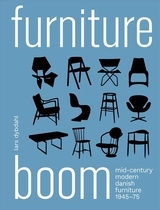 Featuring the work of the titans of Brazilian design—Lina Bo Bardi, Oscar Niemeyer, Joaquim Tenreiro, and Sergio Rodrigues—as well as numerous designers whose work and reputations only recently reached foreign shores, Brazil Modern is the first comprehensive guide to this untapped vein of modernist design. 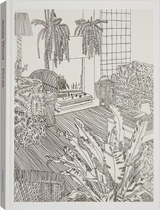 (Lannoo Publishers, November 2015) The current dominant interior style is surprisingly eclectic. 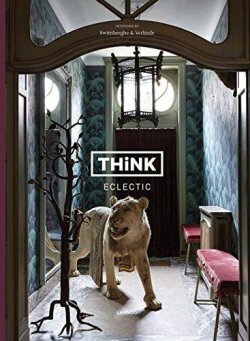 In this book, art collectors, architects, designers and antiquarians mastering this trend, allow us to enter their private spaces. 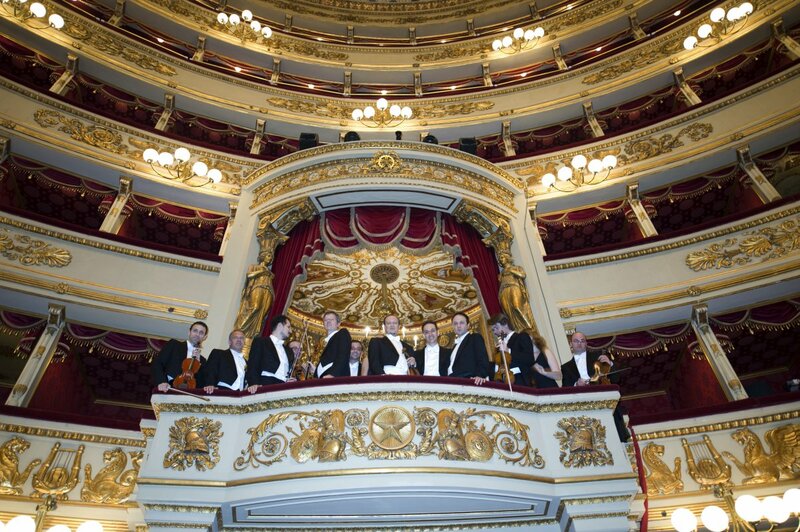 They mix different styles to form a new unity, combining old and new, sleak and baroque. No sterile showrooms are shown here, but real houses, decorated by these creative minds. The eclectic style does not have any rules and underlines the strong individual character of the decorator. Art historian Piet Swimberghe and photographer Jan Verlinde work for numerous magazines such as Elle Living, Coté Ouest, MTC and Weekend Knack. 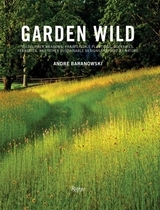 They have produced books on architecture, design and interiors and written many articles for European interior magazines. 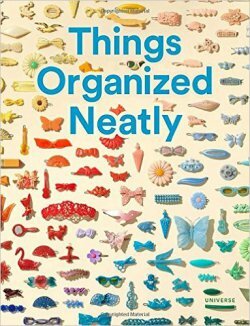 (Universe, March 2016) Based on the Webby Award–winning Tumblr site, Things Organized Neatly is thoughtfully composed of everyday objects, all displayed beautifully for the neat freak. Things Organized Neatly takes the messiness of the everyday world and recasts it in neat and appealing designs. On one page a massive collection of cellphones from the past twenty years is laid out on the floor and photographed from above; on the next, a collection of candy is pleasingly arranged by color. Things Organized Neatly capitalizes on our current obsession with photographing and cataloguing all the objects that we interact with on a daily basis. It has many images of food laid out in visually appealing, often humorous designs, as well as images of GI Joes standing at attention and old Nintendo cartridges arranged in the colors of the rainbow. Whether you’re a design aficionado, an obsessive cleaner and straightener, a social media maven constantly documenting your day, or someone just looking to be swept away for an afternoon in a book full of beautiful images, Things Organized Neatly offers every reader a chance to revel in the beauty of everyday life. "Fresh off a double solo outing of paintings and drawings at New York galleries Peter Freeman and Sargent’s Daughter, artist Catherine Murphy sits down with New York Times art critic Ken Johnson to discuss her new self-titled monograph, published by Skira Rizzoli and Peter Freeman, Inc., which surveys the American realist’s entire career. The enlightening evening will include a reading from the book by art critic and poet John Yau, who wrote a revealing text for the tome." Find out more here. "A celebration to mark Pamela Love’s incredible milestone as well as a book signing, cocktails, tarot card and palm readers on site." Find out more here.